Perhaps even trickier than picking out a gift Mom will treasure forever? Finding the perfect brunch spot the whole family will love. 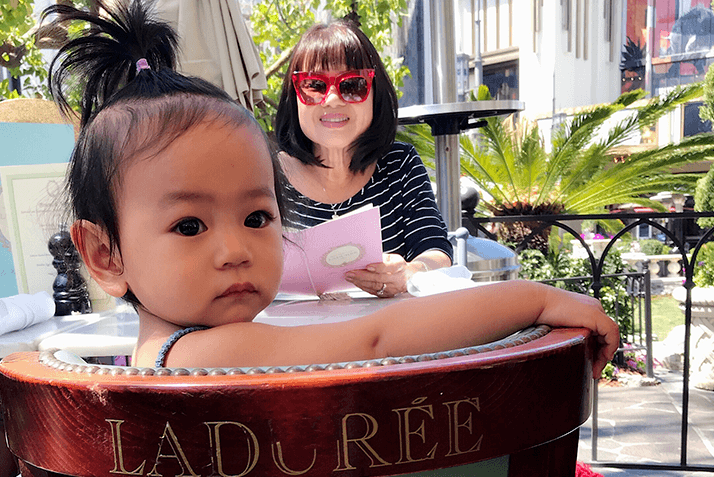 Whether you’re on the hunt for the city’s best pancakes, the most extenstive cocktail menu or the most idyllic ambiance, Los Angeles is home to some of the best mom-day dining destinations around. 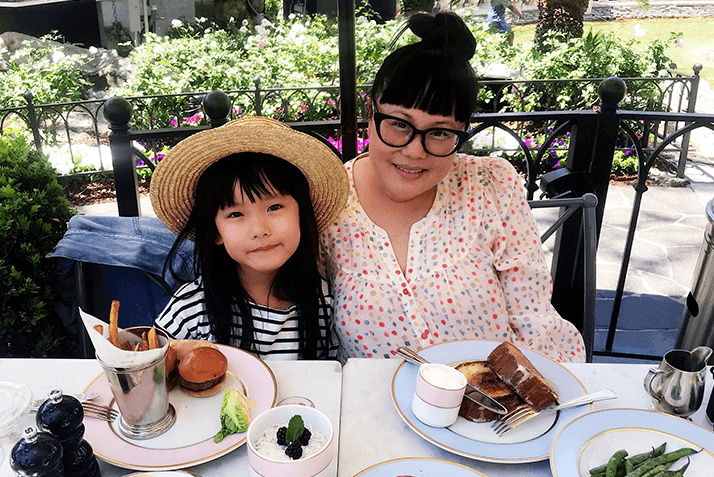 We asked some of our favorite Insta-moms and daughters to dish where they’re headed this May 13 and what they’re already craving right now. Ladurée. I love the atmosphere and the food, as well as the outdoor seating and how sweet all the waiters are. The brunch menu is also super delicious! I had the French toast. Yummmmy! Everything I’ve tried at Ladurée has been delicious! I’ve had the salmon, mini burgers, filet mignon, lobster roll and Brussels sprouts. All the desserts are to die for, too! We usually go eat together as a family. I usually make a nice photo album for my mom of all the photos of her and my daughters. Each year, she can look back and see how much her granddaughters have grown up. As for me, since my kids are still young, we haven’t created any traditions yet. However, I have to thank my eldest daughter’s school for helping her make special gifts for me on this day. It’s different every year as we never know what is going on. I guess Mother’s Day isn’t a huge day for me yet. I just make sure that my mom, and all my mom friends are celebrated. I haven’t bought my mom’s gift yet, but I’m planning on making her another photo album. We also bring her flowers. For me, gosh, I would love to receive a day off! LOL! Just kidding. #momlife jokes. 189 by Dominique Ansel is a beautiful, unique spot that is all about family-style dining, which could not be more appropriate for Mother’s Day. The venue is bright, airy and absolutely stunning with its vines and greenery. Despite there being plenty of tables, it feels incredibly intimate at the same time. 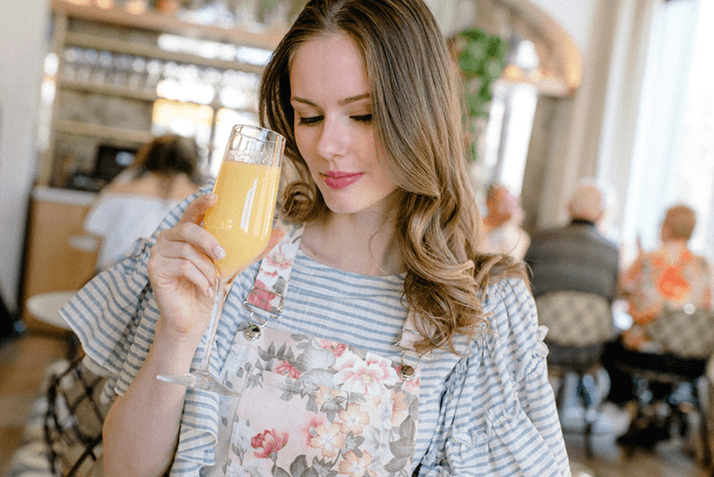 You also get a bird’s eye view of The Grove below, which proves to be a gorgeous view while sipping on a delicious mimosa as waiters pass around gourmet dishes that you get to select. As someone who is obsessed with royal history, it reminded me of how royals would be served back in the day at a lavish dinner. I am not a butternut squash person at all, but I was tempted to try their buttermilk butternut squash pancake on my first visit and it was amazing! I never would have thought to put squash in pancake batter, but it works and it gives the pancake the perfect amount of fluffiness. I am also a huge lobster roll fan, so to see those being passed around made me so excited. It did not disappoint! What special Mother’s Day traditions do you share with your family? Since I live 3,000 miles away from my mom, we don’t get to celebrate Mother’s Day in person as we used to. But as a child, my dad, my sister and I would take my mom out to breakfast before heading to my grandmother’s house for dinner. We would usually spoil her with presents of flowers and a spa day. We’d usually head to my Nana’s house or Mormor’s house with the whole family, spending time outside before everyone huddles inside for a delicious home-cooked meal by one of my grandmothers. I can’t tell you that, since she will probably read this! But I hope she likes what I got her! The Ponte is perfect for Mother’s Day brunch because they’ve really got it all. They’ve got an exceptional patio, great ambiance, a fantastic wine list and cocktail menu, and incredible food. What more could you ask for? Every mom deserves a treat, and The Ponte is just that. The Ponte is known for its pasta al pomodoro—it’s hands-down one of my top-three favorite pasta dishes, ever—so that is definitely a must. Outside of that, the porchetta hash and the burger at brunch are to die for. And definitely don’t miss the brunch cocktails! For Mother’s Day, our tradition is always to dine! Whether at home or out, we make it a point to have a little fun. A little extra fun. For Mother’s Day, I got her a plane ticket for myself to fly up to the Bay Area and surprise her with a visit! I haven’t seen my mom since Christmas, which is very unlike us, so I’m making it a point this year to go see her on Mother’s Day. My mom is my best friend and my biggest supporter. I owe just about everything to her and am so grateful to be able to celebrate her as often as I can. Vernetti is a charming place with a great atmosphere and amazing food. Definitely the spaghetti con limone grigliato—the best modern take on lemon pasta ever! So refreshing and delightful. We celebrate every Mother’s Day with an al fresco brunch and afternoon tea in a beautiful setting like the Peninsula Hotel. I always gift my Mom a bouquet of flowers I put together myself and a special fragrance from unique brands she would never know about. Thinking of visiting The Grove this Mother’s Day to shop and dine? 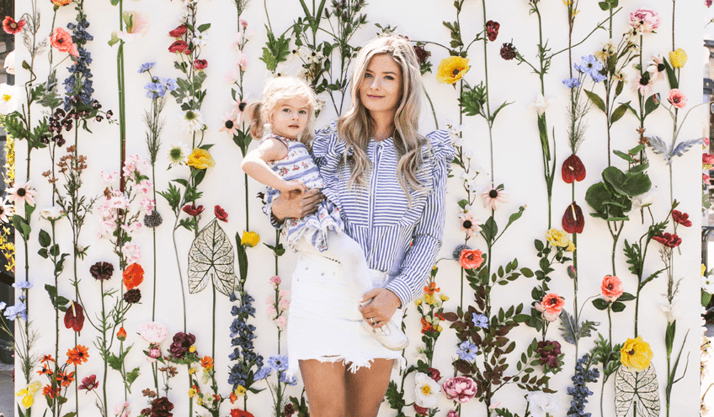 Be sure to snap a photo by our Flower Wall (à la @beautyandthebeasties) in The Park starting May 7 and post it on Instagram or Facebook with #GroveLovesMom for a complimentary one-day valet pass good for the entire month of May. Simply show your photo to Caruso Concierge to redeem.